His degree will be conferred by Dr. Daniele Struppa, chancellor of the university, at the Wilkinson College of Humanities and Social Sciences Commencement Ceremony on Saturday, May 19, at 9:15 a.m. on Holly and David Wilson Athletic Field, Chapman Stadium, Lastinger Athletic Complex, One University Drive, Orange. Nagano began Los Angeles Japanese Baptist Church, later named Evergreen Baptist Church, in 1945 on Second and Evergreen in Boyle Heights. The Japanese Evangelical Missionary Society (JEMS) was founded in the 1950s and Nagano volunteered to be its first executive minister. 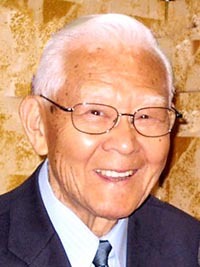 Nagano has served at Seattle Japanese Baptist Church (1971-1986), initiated the Asian American Ministries and the Asian American Caucus of American Baptist Churches, taught at the American Baptist Seminary of the West (1984, 1987, 1992), and served as interim pastor of the famous Oakland First Baptist Church. He was minister-at-large for the Northern California Japanese Protestant Churches (Domei) from 1986-2000 and interim pastor of many ethnic churches in Northern California. Since 1989, he has been director of the Council for Pacific Asian Theology (CPAT), and he is presently a chaplain at the Atherton Baptist Homes in Alhambra, where he resides. Last year, Nagano and his wife, Florence, were recognized as Nisei Week Pioneers. He was nominated collaboratively by Charlene Baldwin, dean of the Leatherby Libraries; the Rev. Dr. Gail Stearns, dean of the Wallace All Faiths Chapel; and Dr. Marilyn Harran, professor of religious studies and history. Free parking will be available in all Chapman parking structures. Additional information may be found at the Chapman Commencement website. If anyone would like to attend, call Pat Kawamoto before May 5 at (562) 926-1562 for reserved seating.